Manufacturers in many industries use and produce chemicals that can be harmful to humans. A company that is aware of the dangers associated with a toxic substance but fails to protect its employees (and the public at large) from toxic exposure is liable for the consequences. Toxic exposure occurs when people come into contact with dangerous chemicals such as asbestos and benzene. Although these and many other chemicals are naturally occurring, they have become more widespread in our environment as a byproduct of the Industrial Age. More than 75,000 chemicals are registered currently with the U.S. Environmental Protection Agency (EPA), and only a fraction of them have undergone proper testing to assess whether they pose risks to human health. Toxic exposure cases, also known as toxic tort cases, deal with harmful exposure to toxic substances due to someone else's carelessness or negligence. Those who have been harmed by exposure to a toxic substance should consider speaking with a lawyer who has experience with personal injury and wrongful death causes. If you are a family member of someone who died as a result of toxic exposure, a wrongful death attorney can evaluate your case and determine your best course of action. Because toxic exposure often affects a large group (or "class") of workers or residents, personal injury lawyers often recommend class action lawsuits in cases of toxic exposure. With the help of a qualified legal team, you may be able to recover compensation in the form of a settlement or court award. Contact experienced lawyers to help with injuries and determine your eligibility. The human body is not equipped to process or fend off high doses of chemicals like asbestos and benzene. Children are particularly vulnerable to toxic exposure and poisoning. Because their bodies are still developing, they are unable to process and eliminate chemicals as effectively as adults. Unfortunately, on a pound-for-pound basis children are exposed to higher levels of toxins. The following chart lists the effects of some of the toxic substances that have been proven to cause harm to humans. Benzene. Benzene is a naturally occurring substance that can be processed by the body at low levels. However, at higher levels benzene exposure can cause a multitude of health problems and even lead to death in some cases. Toxic exposure to benzene damages the central nervous system and increases bone marrow toxicity, which can lead to aplastic anemia. Chronic exposure can cause chromosomal aberrations, and long-term exposure can even cause cancer. Benzene exposure can cause several forms of leukemia, the most common of which is acute myelogenous leukemia, or acute myeloid leukemia. Nearly 12,000 people contract AML each year, according to the National Bone Marrow Donor Program. Because AML can take years to develop, most patients are older adults. Symptoms include fever, infections, anemia, tiredness, shortness of breath, bleeding and bruising. Treatments for AML, such as chemotherapy and bone marrow transplants, can be very expensive. If your exposure to benzene is linked to corporate negligence, an attorney specializing in benzene lawsuits can help determine if you are entitled to compensation for medical costs as well as pain and suffering. Toxic exposure to benzene normally occurs through inhalation of tainted air (in areas with high car traffic) or through water contamination. Benzene seeps into the water supply through discharges from factories that operate in the industries listed above. 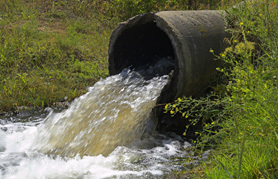 In addition, benzene water contamination can originate from industrial spills, gasoline storage tanks and landfills. Most public water sources are devoid of benzene or contain extremely low levels of the chemical. To learn more about the drinking water in your area, you can contact the EPA's Safe Drinking Water Hotline at (800) 426-4791. If you have reason to believe that you or someone you know has been harmed from benzene inhalation or water contamination from benzene, it is best to contact an attorney with experience litigating toxic exposure and poisoning cases. Throughout the 20th century, exposure to asbestos was common in many industries, including construction, mining and the auto industry. To make matters worse, workers in these industries inadvertently transported particles of asbestos into their homes, which lead to widespread secondary exposure by family members. The diseases that have resulted from this exposure have ravaged entire families. Until the 1970s and 1980s, very few people knew of the dangers posed by asbestos exposure. However, some companies were aware and withheld the information from their workers. Companies have been held liable in multi-million dollar civil lawsuits. If you or someone you know has been exposed to asbestos or other toxic substances, consult with a physician and contact the EPA, the Occupational Safety and Health Administration and the office of the Department of Public Health in your area. If you have been harmed by one of these substances, a toxic exposure and poisoning attorney may be able to help you negotiate a settlement or file a lawsuit seeking compensation for your losses. Even secondary exposure to asbestos can lead to health problems or death. For years, lethal asbestos particles floated onto the clothes of workers and into the homes of their families. As a result, secondary asbestos exposure has shattered the lives of countless families.